Prolific fantasy scribe M.L. Spencer--author of Amazon #1 best selling series The Rhenwars Saga--has teamed up with 16 other authors to kick off spring with dark visions of vile necromancers, hardened mercenaries, mad kings, foul-mouthed orcs, and eldritch madness. A host of the best new voices in the dark fantasy scene have banded together to offer a stunning lineup of epic fiction for an exhilarating--and occasionally terrifying--ride out of the darkness of winter and into the dangers of spring. From April 10th - 14th, all 17 novels and a bonus anthology are up for grabs for only $0.99 a piece, filling your to-read list to the brim with new worlds to explore throughout the whole year. 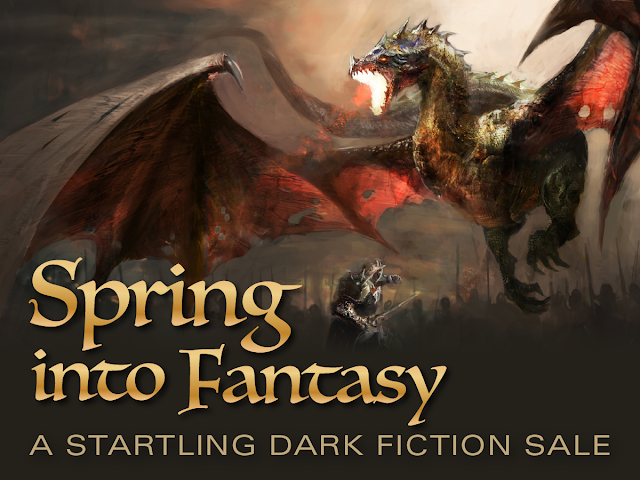 Spring Into Fantasy features stories from such luminaries as Andy Peloquin, Rosalyn Kelly, Frank Dorrian, Ty Arthur, Jesse Teller, Michael Baker, Damien Black, Paul Lavender, Angel Blackwood and many more. M.L. Spencer​ was born in Southern California and grew up on the works of Steven R. Donaldson, Stephen King and Frank Herbert. She wrote her first novel at thirteen. By day she works as a biology teacher; by night she sweats over a beaten-up keyboard. Her novel Darkmage won the Indie-Reader Discovery Award for Fantasy and became an Amazon #1 Bestseller.